Older Children that express the humor and joy found in simple, everyday things like odd vegetables and human angels, and that offer pathways to peace through Nonviolent Communication. One song co-authored by Gary Baran. 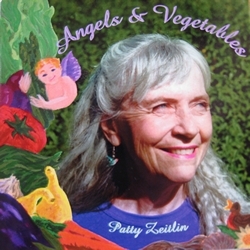 Vocals and Guitar: Patty Zeitlin. Guitar, Banjo and Vocals: Ray Frank. Piano and Synthesizer: Reed Fromer.